I am pleased to announce that The Painted Chest is now a Retailer for Debi Beard's DIY Paint! DIY Paint comes in 20 fabulous colors and is non-toxic and all natural. It is made of chalk, clay, and minerals. It is designed to give you a smooth finish, but also has the unique ability to create texture. It is Made in the U.S.A. by Heirloom Traditions, a third-generation family business in Louisville, Kentucky. Unlike many chalk-type paint brands, DIY Paint is made from scratch. The pigment is crushed into the formula. When the paint is made this way vs. adding pigment to a pre-made base, the pigmentation is much deeper. DIY Paint distresses beautifully. Because there is no latex or acrylic in our paint, you can rub the paint back with a wet cloth or wet sanding block. Some people even use a baby wipe. This makes completing a project indoors a breeze! No more dusty mess! Top coat your piece with one of their wonderful furniture waxes in clear, dark, or white. Or you can use the new Liquid Patina which comes in 4 fabulous colors! 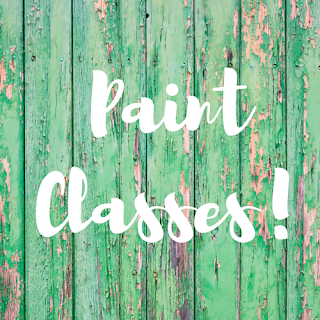 I will soon be hosting FUN classes and workshops using this amazing paint! So watch for my class schedule!